Join us as we celebrate our decade of success by giving back to the community. 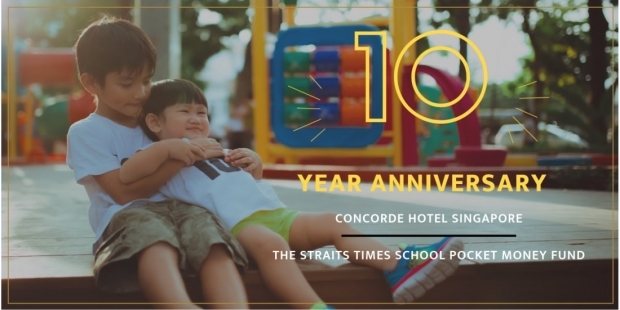 To mark this milestone, we are pledging SGD$10 nett for every room occupied on 1st October 2018 to The Straits Times School Pocket Money Fund. Check-in to our Deluxe Plus rooms, which are tastefully decorated to exude sophistication and elegance to make for a memorable stay. You may even stand a chance to win a One Night staycation in our Premier Club Room with breakfast for 2 persons worth $638++. *This offer is only valid for stays on 1st October 2018. Where Everyone Matters. Always at Concorde. 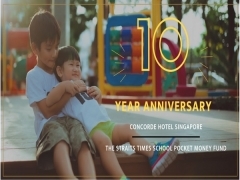 Check out Concorde Singapore Hotel for more details about this offer and to book your room now!